DAYTONA BEACH, Fla. (Jan. 29, 2019) – NASCAR Racing Experience has entered into a multi-year partnership to serve as the title sponsor for the NASCAR Xfinity Series season opener at Daytona International Speedway, part of DAYTONA Speedweeks Presented By AdventHealth. The 120-lap, 300-mile race will be known as the NASCAR Racing Experience 300. The partnership between Daytona International Speedway and NASCAR Racing Experience will deliver additional ride opportunities for guests during DAYTONA Speedweeks Presented By AdventHealth. NASCAR Racing Experience will expand their yearly schedule at the “World Center of Racing” by offering both Drive and Ride experiences between Feb. 11-15. Last year’s season-opening Xfinity Series race produced the closest finish in NASCAR history. The 0.000-second margin of victory scored by Tyler Reddick in the No. 9 JR Motorsports Chevrolet over then-teammate Elliott Sadler marked the closest margin of victory in NASCAR national series history. 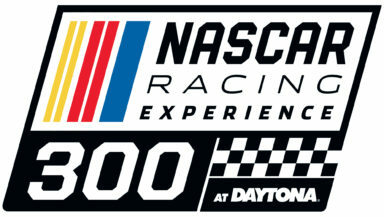 Tickets for the 61st annual DAYTONA 500, the NASCAR Racing Experience 300 and other Daytona International Speedway events can be purchased online at www.daytonainternationalspeedway.com or by calling 1-800-PITSHOP. Fans can stay connected with Daytona International Speedway on Twitter, Facebook, Instagram, Pinterest, YouTube and Snapchat, and by downloading Daytona International Speedway’s mobile app, for the latest Speedway news throughout the season. Daytona International Speedway is a state-of-the-art motorsports facility and was awarded the SportsBusiness Journal’s prestigious Sports Business Award for Sports Facility of the Year in 2016. Daytona International Speedway is the home of “The Great American Race” – the DAYTONA 500. Though the season-opening Monster Energy NASCAR Cup Series event garners most of the attention – as well as the largest audience in motorsports – the approximately 500-acre motorsports complex, also known as the “World Center of Racing,” boasts the most diverse schedule of racing on the globe. In addition to at least nine major event weekends, the Speedway grounds are also used extensively for events that include concerts, civic and social gatherings, car shows, photo shoots, production vehicle testing and police motorcycle training. About NASCAR Racing Experience: NASCAR Racing Experience is the leading experiential racing company in North America, offering the most realistic racing programs available to motorsports fans nationwide. There’s no lead car to follow and drivers race without an instructor alongside. The drivers compete in real NASCAR race cars driven by NASCAR drivers including Jeff Gordon, Jimmie Johnson, Dale Earnhardt Jr., Tony Stewart and Michael Waltrip, among others. Reservations can be made at www.NASCARRacingExperience.com. Gift Cards are available for any amount and never expire. The customer service department is available seven days a week. NASCAR Racing Experience programs are conducted at 16 racetracks across the United States, and offer a vast array of corporate outings and motorsports-themed events. For more information call 704-886-2400 or visit www.NASCARRacingExperience.com.